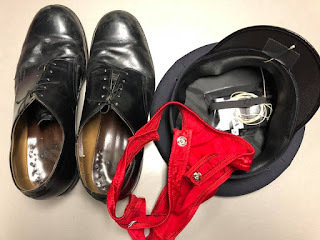 NoFo: Secrets of theater magic: Strippin’ Stuff! 2. Microphone pack hidden in hat BECAUSE LET’S BE SERIOUS WHERE THE HELL ELSE COULD YOU PUT IT?